There is a tectonic shift occurring in modern healthcare that is being driven by technology. In the past, data flowed from provider to patient. A routine office visit would include the generation of measurements, such as blood pressure and weight, at sporadic points in time. Physicians would use these data to make decisions and patients would passively receive care. 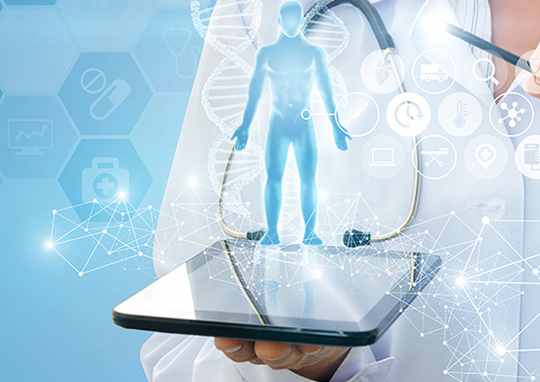 Now doctors have a new tool in the data arsenal as they incorporate patient-generated, continuous data in decision-making thanks to medical wearables, implantables, and hand-held devices that track their patients 24/7. It’s a future Joseph Kvedar, M.D. describes with his co-authors, Carol Colman and Gina Cella, in 2015’s The Internet of Healthy Things and 2017’s The New Mobile Age: How Technology Will Extend the Healthspan and Optimize the Lifespan. It’s a future in which real-time biometric data is automatically captured and used to learn more about the impact of lifestyle on chronic diseases and wellness.